What kind of dental care do patients with diabetes need? You are here: Home / Blog / Cosmetic Dentistry / What kind of dental care do patients with diabetes need? People who suffer from diabetes must bear in mind that they must be special thorough with their dental care to have a healthy and well-cared for mouth. 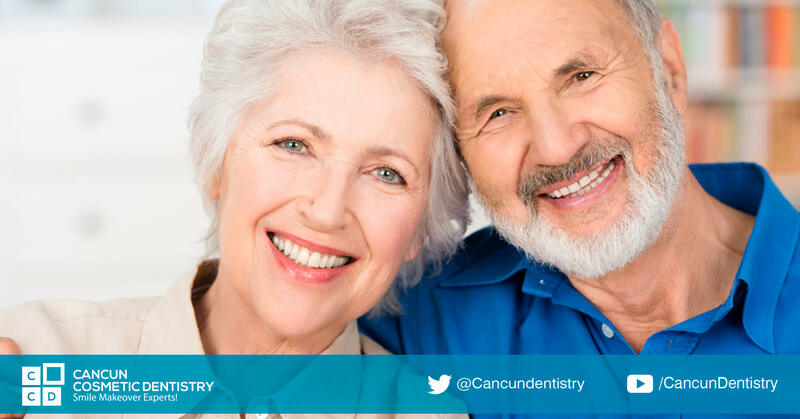 When coming for a check up with your dentist in Cancun you must tell the doctor about your condition so we can adapt the dental treatment and give you the best care for your case. Here are a few additional oral health tips for diabetic patients to keep in mind for your dental care. Obviously, you need to keep a close control of your intake of sugar for both your sugar blood levels and also for the effect it can do to your teeth with dental decay, gingivitis and periodontitis. This way you can reduce the risk of these problems. Use a toothbrush with soft bristles so your gums are not affected or get hurt and inflamed. This also means you shouldn’t brush too vigorously but keep doing circles and “sweeping” in a single direction (bottom teeth up, top teeth down). Follow a complete oral hygiene routine, not only to brush our teeth several times a day, but you must also have to include the dental floss since it will be of great help to us when removing the plaque that lodges between the teeth and under the gum. In addition to this it is also convenient to perform rinses with mouthwashes. Being diabetic can slightly affect the types of procedures done in your mouth, for example during dental implant surgery or wisdom tooth extraction because of the use of sedation dentistry and local anesthesia. Of course the best thing you can do for your health is stop smoking! This is for real! Smoke damages your mouth in many ways and increases the risks of decay, gum infection and even cancer. If you stop smoking it will be a huge improvement for your dental care. Colors on toothpaste tubes: Don't let them fool you! Eat healthy to prevent dental problems! – Cancun Cosmetic Dentistry Affordable dental care with high quality is here for you!